This year we will spend the week preparing for our "Camping Trip". We will be making sleeping bags, pillows, fires, lanterns, tents, fishing poles, smores, picnic treats, compass, life jackets and more! 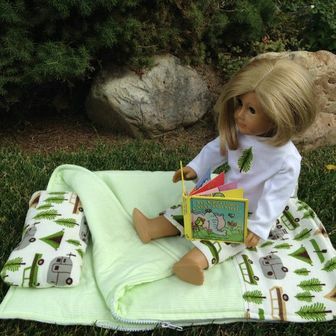 Just like real summer camp each of the girls will receive a camp shirt as well as a shirt for their doll! No need to bring the dolls until Thursday. All week we will be busy preparing for our camping trip so please dress for a mess, you never what we may get into! This open to all ages, children 5 and under must have an adult helper.